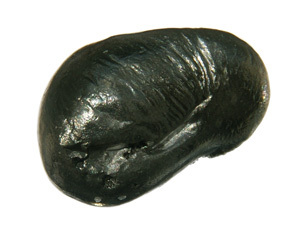 A bead of pure beryllium. Beryllium is an inorganic metal used in the weapons, aerospace and nuclear industries, and to make metal alloys for nuclear reactors, electronic equipment and microwave ovens. It enters surface and ground water naturally through the weathering of rocks and soils, or through human activity by way of industrial discharges and, primarily, through coal and fuel oil combustion. Beryllium is not likely to be found in natural water above trace levels as a result of the insolubility of oxides and hydroxides at the normal pH range. Beryllium is also classified by the International Agency for Research on Cancer as a human carcinogen, although via inhalation exposure rather than ingestion. The EPA recommends activated alumina, coagulation/filtration, ion exchange, lime softening and reverse osmosis as treatment methods for beryllium.